If you have seen pictures and have been waiting to experience the magical phenomenon of little glow bugs lighting up the forest then this is the best time to visit the Western Ghats of Maharashtra for a fireflies trek and see them for yourself. The monsoon season is the peak mating season for fireflies and we have listed the best places to catch a glimpse of these tiny twinkling beauties. The glow bugs make light with specialised cells in their abdomens to attract a mate. This phenomenon is called bioluminescence and is shared by other organisms like a few marine creatures and even some trees. The fireflies trek to Rajmachi Village combines the best that a monsoon trek has to offer: a fun trek in the night through a beautiful forest to see the miracle of fireflies and a challenging pinnacle climb to the fort the next day. 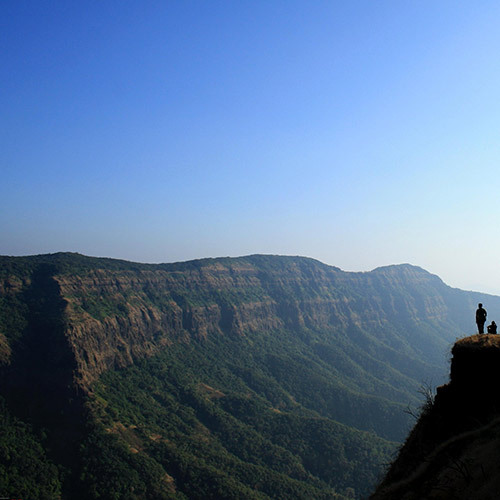 Located near the famous hills of Matheran and Lonavala, the Rajmachi fort stands at an altitude of 2710 feet and offers you a fabulous trekking route. This Rajmachi fireflies trek takes you deep into the rugged mountains of the Sahyadris, to see the magical dance of fireflies during the short season when they appear. The pre-monsoon showers are prime mating time for these bugs, and you'll see them light up the night sky to find their mates. 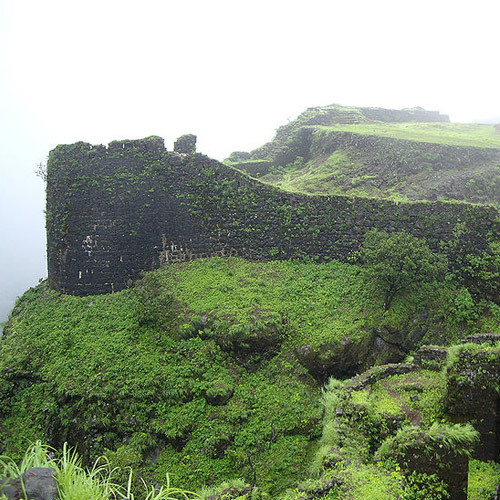 You'll also get a chance to view the iconic Rajmachi fort and enjoy a monsoon trek. A unique experience in so many ways, the Kondana Caves fireflies trek doesn't just take you through ancient Buddhist caves, but it does so in the dark of the night! You'll enjoy an hour-long night trek through a dark forest, and explore the caves at night. It’s a thrilling journey navigated with nothing but the flickering from your merry little friends (the fireflies) and the torches in your hands. Top this off with incredible ghost stories and a chance to stay in a local village for the night, and you'll have a weekend adventure that you'll never forget. 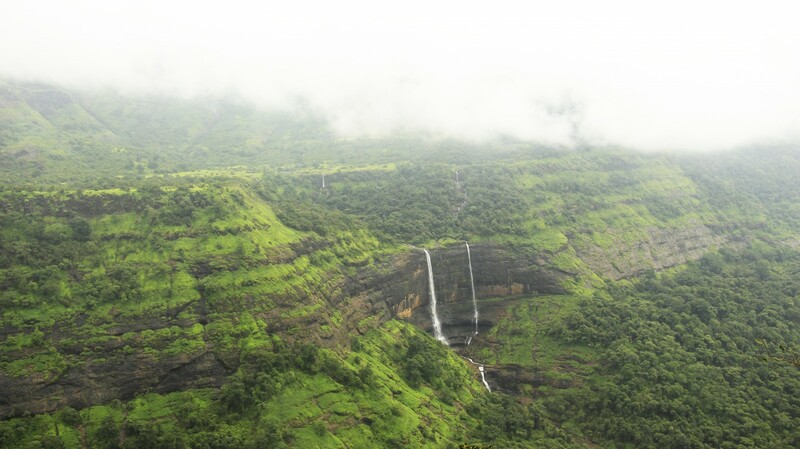 This adventure is quite easy to get to, so is perfect for a weekend adventure getaway from Mumbai or Pune. 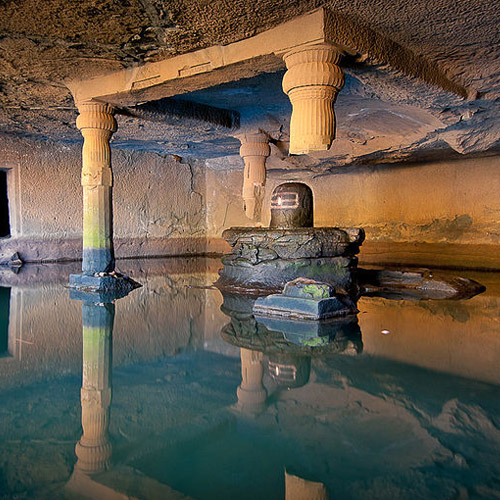 The Kondana caves are located at the foot of the Rajmachi fort, near Karjat and are ancient Buddhist caves, and are fine specimens of intricate art. You'll enjoy exploring them as much as seeing the fireflies dancing in the dark. The fireflies trek to Prabalmachi village is a beautiful journey that takes you to the top of Prabalgad to a plateau with spectacular views, and gives you the chance to witness the breath-taking phenomenon of an open air “light-show” by glowing fireflies! You'll trek after dark, which is a thrill like no other, and spot plenty of fireflies. 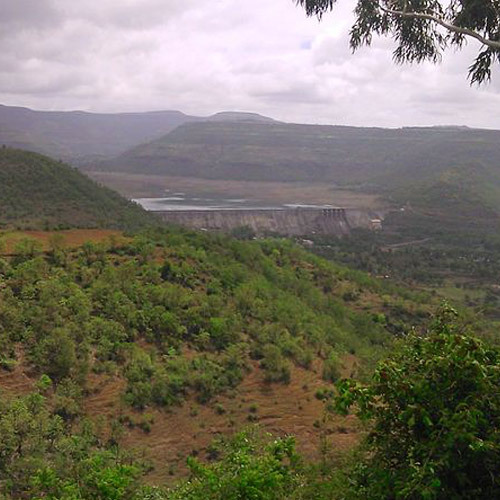 Located between the Mumbai and Pune highway, tucked away in the hills, lies the quaint little village of Prabalmachi. It receives heavy rainfall in the monsoon and is a breeding ground for fireflies. You'll be staying here, enjoying a midnight ramble through nature to see male fireflies light up to woo the females. The fireflies trek is an amazing experience and brings you closer to nature. 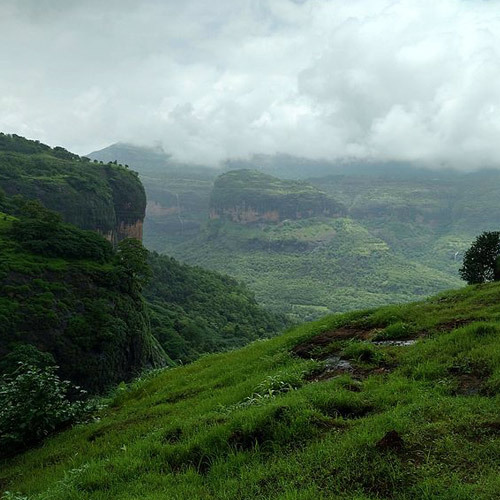 Located in the Western Ghats of Ahmednagar, Bhandardara is holiday destination that is a short 185 kilometres from Mumbai. Being situated between mountains, this region contains a wide variety of vegetation and is home to millions of fireflies. On this fireflies trek, you’ll see an extravagant spectacle as the firefly’s glow red and yellow, lighting up the sky! Whether you see them in secret nooks, between tree leaves or just fluttering about above you, the sight is absolutely magical. There are picturesque camp sites in Bhandadara for a cosy camping experience with bonfires and ghost stories. The scenery is absolutely beautiful with lush green forest all around, a shining lake and countless waterfalls! 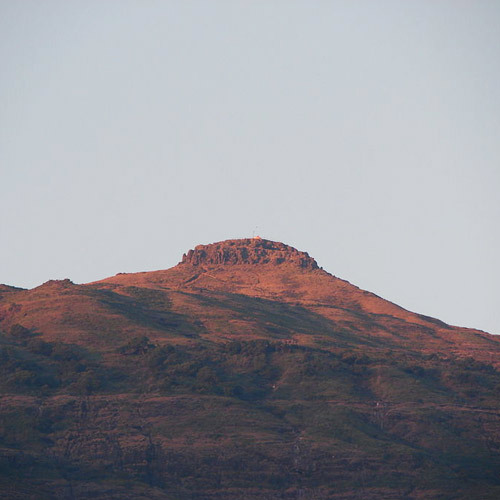 It is also home to the highest peak in Maharashtra, Mount Kalsubai and you will find gorgeous views of Pravara River, Randha Falls and the famous Bhandardara Lake. This adventure trip combines some of the best that a Sahyadri monsoon has to offer: a fun trek in the night through a beautiful forest, a rambling night trail on a plateau at the top to see the miracle of fireflies, and a challenging pinnacle climb the next day. Picked right out of an adventure movie scene, this fireflies trek to Bhandardara has everything a perfect camping experience should have. From great company to cosy camps, a fabulous location, a bonfire and a thrilling session of ghost stories. 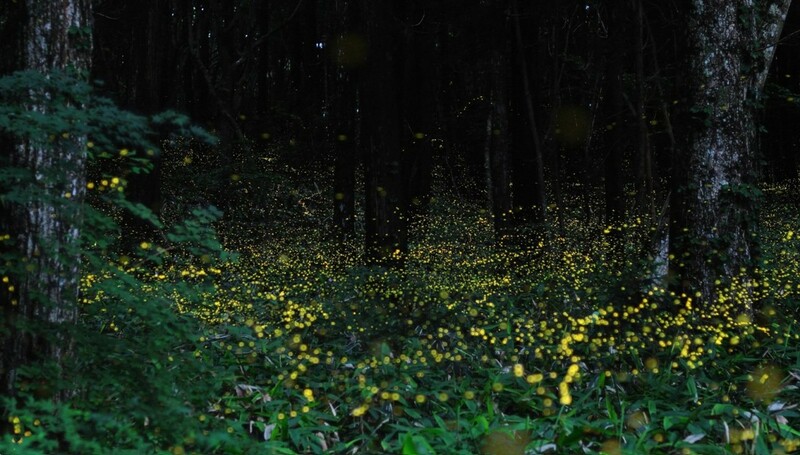 But the highlight is the amazing phenomenon of glowing fireflies lighting up the sky! Whether you see them in secret nooks, between tree leaves or just fluttering about above you, the sight is absolutely magical. Add to that, the lush green forest around, a shining lake and countless waterfalls! The best part is, this campsite is so easily accessible from Mumbai. All you have to do is pack your bag, book a seat and catch a train! 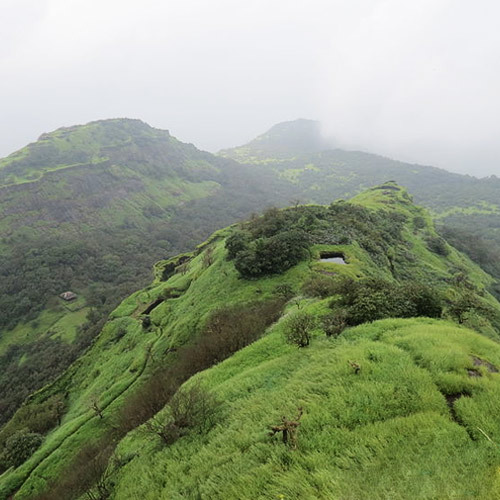 This trek to Kothaligad fort is a surreal adventure that combines the thrill of a night trek, a chance to witness the dance of fireflies in the dark, and a fun morning peak climb. This fort is unique because it has steps carved into the pinnacle, from within the rock, and not on the outside as most other forts. On this trek, you'll also get a chance to live and eat with local villagers, and wake up to spectacular views. Spot bioluminescent fireflies, trek to the Shrivardhan Fort, stay in the quaint village of Rajmachi and escape into the forests of the Western Ghats. On this fireflies trek to Rajmachi, you’ll trek through dense wilderness to explore the trees, shrubs and bushes of the Western Ghats. En route, you’ll spot several bright, yellow fireflies that nestle in the monsoon-fed forests of Rajmachi. A sight to behold, especially in the darkness of the night, these twinkling fireflies will adorn your trail to Rajmachi. 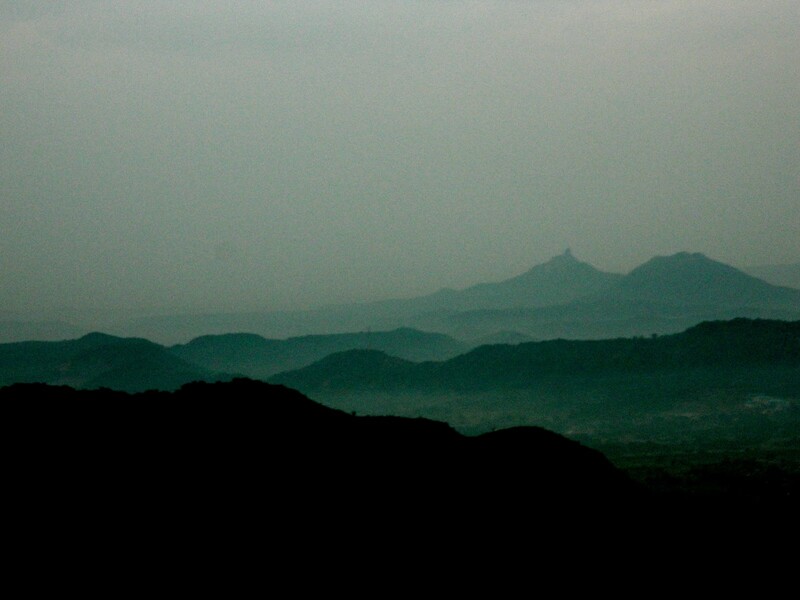 Another highlight of the trip, you’ll wake up and head out for an early morning trek to the Shirvardhan Fort, one of the two hill forts near Rajmachi. Spot bioluminescent fireflies, trek to the Kondhane caves, stay in alpine tents pitched at beautiful campsite and escape into the forests of the Western Ghats. On this fireflies trek to Kondhane, you’ll trek through dense wilderness to explore the Buddhist art and architecture of the historic Kondhane caves. En route, you’ll spot several bright, yellow fireflies that nestle in the monsoon-fed forests of Kondhane. A sight to behold, especially in the darkness of the night, these twinkling fireflies will adorn your trail to the Kondhane caves. Another highlight of the trip, you’ll come back from an exhilarating trek and have fun around a crackling campfire before drifting into sleep inside alpine tents. Night trekking through the rough greenery of the Rajmachi forests offer a spectacular experience of spotting glowing fireflies in the darkness of the night. On this fireflies trek to Rajmachi, you'll venture out into the wilderness and catch views of these exotic insects glowing between trees, in the bushes, up in the sky, behind rocks and all around you. Apart from exploring the mystical natural phenomenon of fireflies, you'll also trek to the twin hill forts of Shrivardhan and Manarajan to catch a glorious sunrise. You'll also visit the nearby Uday Sagar Talav and the Shiva Temple before the trip ends. 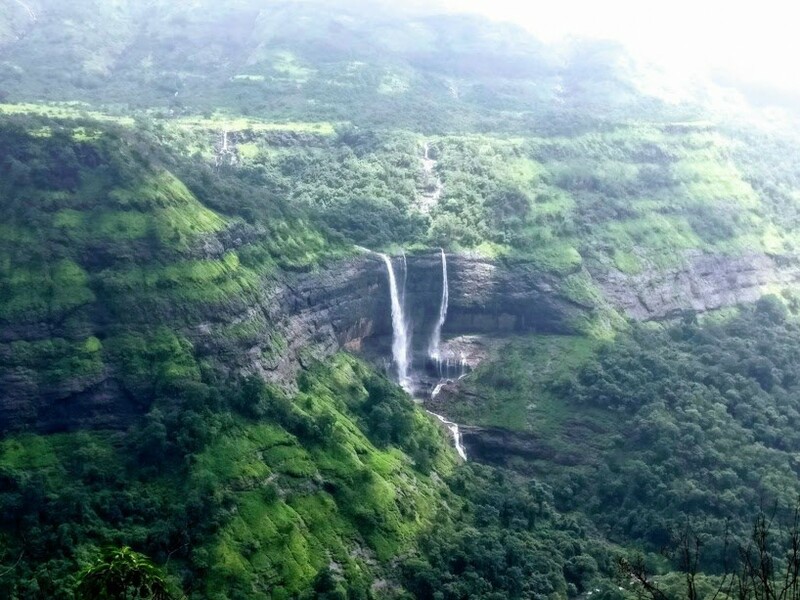 Rich in natural beauty, the fireflies trek to Rajmachi is ideal for nature lovers and urban dwellers looking to plan a weekend getaway into the heart of nature. Fireflies are tiny, little winged insects that nestle in the wilderness of forests and mountains. At night, they flutter out of their nests and glow with a bright, yellow hue. The bushes, shrubs and trees near Bhandardara make for a great trek through the jungle to spot these insects resting in their natural habitat. 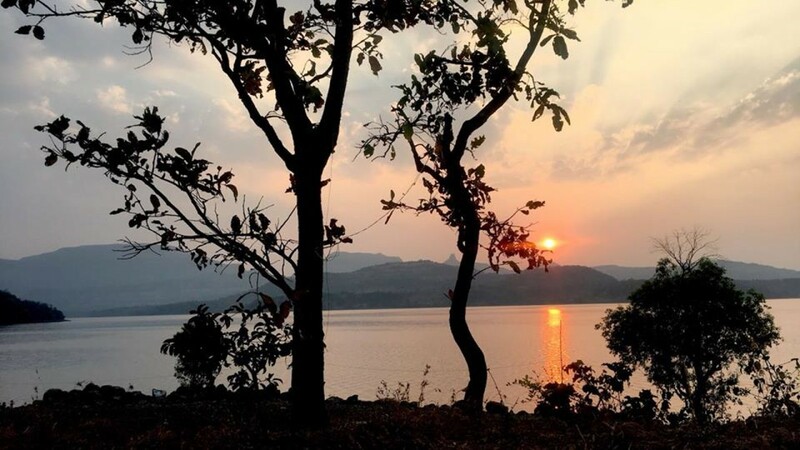 On this fireflies camping trip in Bhandardara, you'll get together with fellow campers and embark on a magical trip through nature to spot fireflies and stay in tents pitched in the green outdoors. This short 2-day trip is perfect for urban dwellers looking to escape the city life and plan a perfect getaway with friends or family. Fireflies are small insects that flutter around dense wilderness and glow with a bright yellow colour in the night. Often a mating ritual, the flickering of hundreds of small fireflies in the darkness of the night is a sight to behold. On this fireflies trek to Kothaligad, you'll trek through bushes and trees and travel to the land of fireflies to explore this mystical phenomenon of nature. You'll trek uphill to an altitude of 3,100 feet to visit the ruins of the Kothaligad fort, where caves and temples of goddesses depict tradition and culture of ancient times. 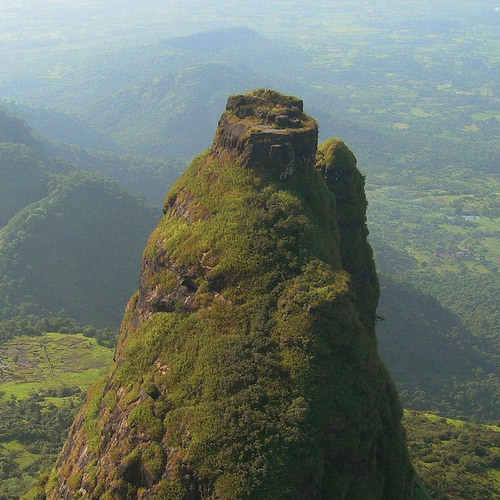 From atop the fort’s pinnacle, you'll catch magnificent views of Siddhagad, Malanggad, Prabalgad, Manikgad and Matheran. On this trip, you'll spend the night in dense jungles and reconnect with nature. 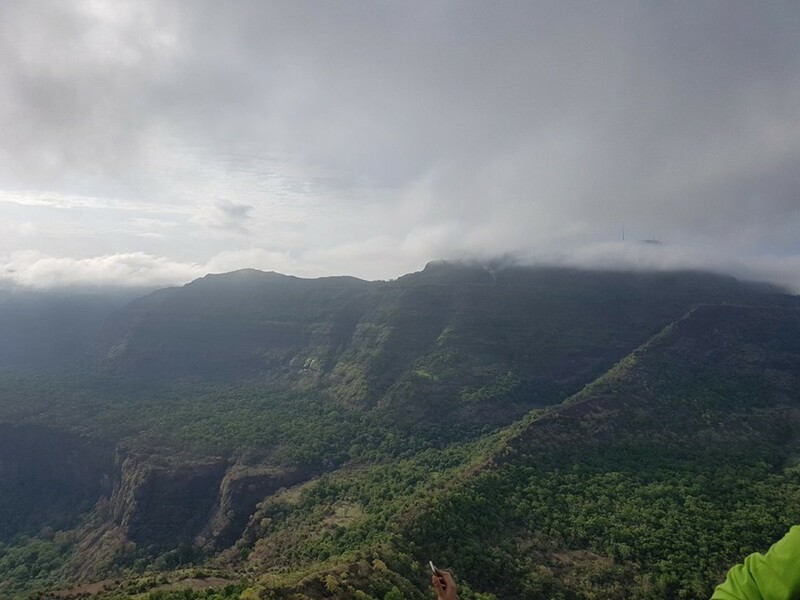 An easy trek on a well-defined trail, this fireflies trek to the Kothaligad is a popular trip for nature lovers, amateur trekkers and experienced adventure enthusiasts alike. This Rajmachi trek takes you deep into the rugged mountains of the Sahyadris, to see the magical dance of fireflies during the short season when they appear. The pre-monsoon showers are prime mating time for these bugs, and you'll see them light up the night sky to find their mates. 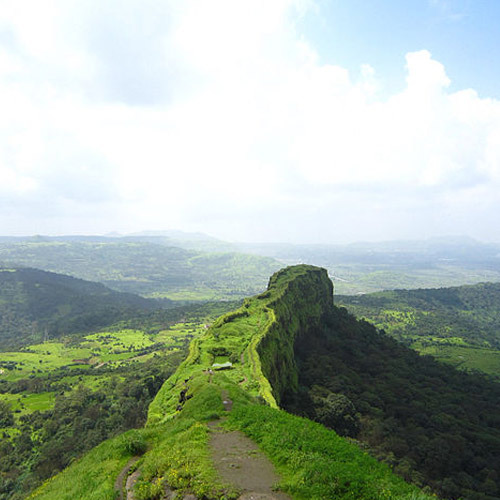 You'll also get a chance to view the iconic Rajmachi fort and enjoy a monsoon trek. NOTE: This trip includes transport from Dadar to Lonavala and back for participants from Mumbai. For participants coming from Pune or other cities, please meet at Lonavala station. The cost for those coming from Pune will be INR 950 per person.